Video lessons, examples and solutions to help Grade 5 students learn about data handling. In these lessons, we will learn how to differentiate between first-hand and second-hand data. We will learn how to draw and interpret double bar graphs. First-hand data is data that you collect yourself. Second-hand data is data that is collected by someone else. First hand vs second hand data. 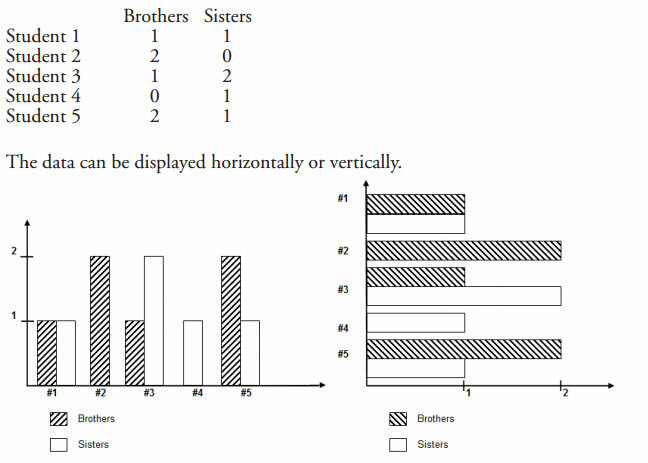 A double bar graph is best used to show how two sets of data are different or alike. • All graphs must have a title, scale and legend. • The order of colors must remain the same throughout. An example is presented below. Five students in the class have been asked how many brothers and sisters they have.